St. Kevin’s Church, Kilaveney, Tinahely was the setting for an unforgettable evening of music and song on Friday 28th November last. Stellar performances were given by ‘Celtic Trinity – Denise Brennan, Avril O’Toole and Karen McGillycuddy and their special guest Liam Lawton. Also featured were Denise Brennan’s Voiceworks Choir and Lambert Harpists – Miriam, Bernadette, Brid and Roisin. All the performers delivered their range of repertoire marvelously and were a delight to listen to. Denise, Avril and Karen’s voices blended so beautifully that the sound they created together was breath taking. 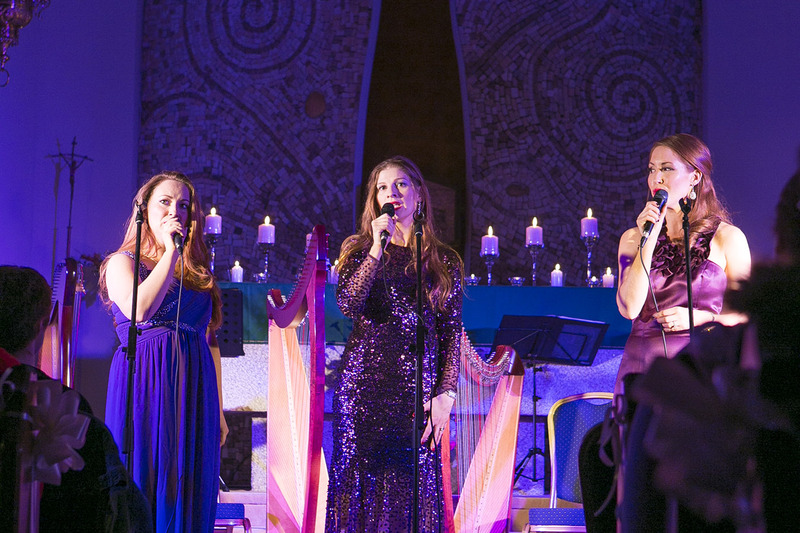 Their inspiring powerful vocal performances captivated the audience and left them in awe. Their repertoire ranged from favourite hymns, Christmas Carols, popular, classical, and Celtic songs which included Winter Song, Caledonia, Somewhere Over The Rainbow, Voice of an Angel, O Holy Night and Silent Night. Their incredible heartfelt performance of ‘How Great Thou Art’ was amazing and wowed the packed church. Denise Brennan’s Voiceworks Choir with their radiant smiles enthralleld the audience while singing their hearts out. The Lambert Harpists gave a truly magical performance. Renowned performer and composer Liam Lawton sang a selection of songs including ‘There is a place’. The large and enthusiastic audience were very appreciative of each magnificent performance and did not want the concert to come to an end. The night was beautifully woven together by Arklow MC Jim Furlong. The Church interior which was renovated in 2013 was beautifully decorated with flowers, foliage, pew bows and lighted candles for what proved to be a superb evening. Proceeds from this event will be shared by St. Kevin’s Church and APA – A Partnership with Africa.